Our sturdy solid wood sisal posts are available in three sizes 18",24" or 30" tall on a sturdy 16"x16" base. Our sisal is machined wrapped and glued for a good tight surface. We use a non toxic white glue. The best feature about our pole is it is reversible!! Once your cat wears out the top of the post simply take it apart flip the pole over and reassemble for a brand new surface for your kitty to scratch!! With this feature you get two posts for the price of one!! 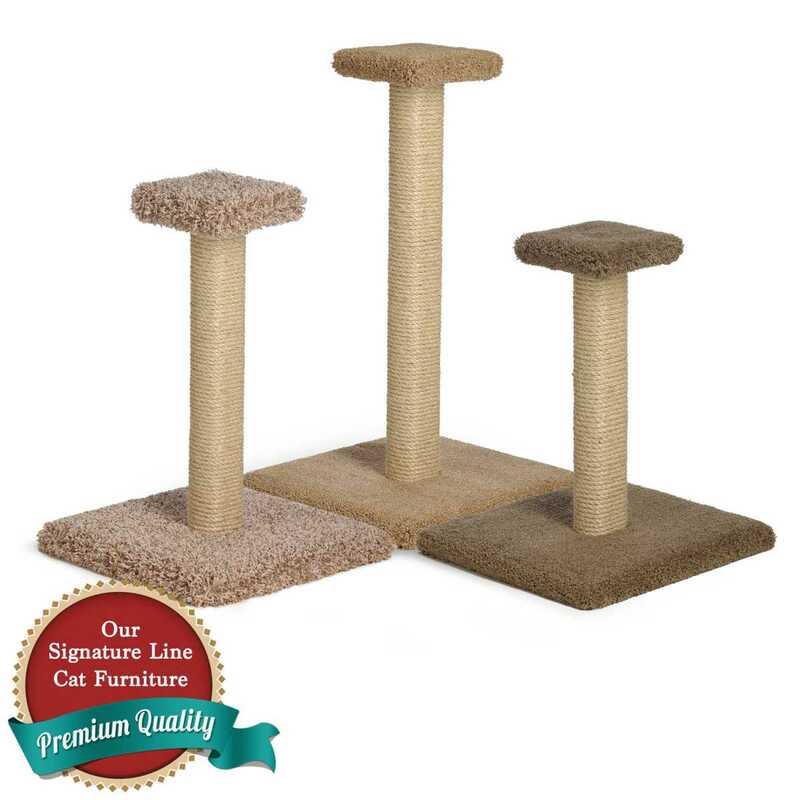 Sisal is recommended for multiple cat households with aggressive, enthusiastic kitties.